Lots of 3D printing platform/marketplaces pop up on a regular basis, but few cause the kind of buzz that Kwambio did when it officially launched last year. Like other marketplaces, customers could shop from a wide variety of 3D printable items, but what made Kwambio unique was that users could tweak and personalize any of the files they purchased. This company describes its platform as “a one-of-a-kind commission between the designer and the customer.” At the time of the platform’s launch, Kwambio was also developing its own innovative 3D printer, the Unique One. Now Kwambio has officially re-launched its site, adding additional designers, a new website design, and a laser focus on quality. What do you think of this new development? 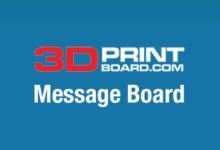 Discuss in the Kwambio Re-Launches 3D Platform forum over at 3DPB.com. Several well-established designers are making their Kwambio debuts. These include mixed-media artists Jim Drain and Katie Stout, design duo Chen Chen and Kai Williams, and design studios byAMT and Mir Ett. Returning artists, who were part of Kwambio’s initial lineup, include Colleen and Eric, Andrew Sack, Angela Eberhardt and Hart Marlow, and Daniel Michalik. A long list of additional designers is soon to be added. Perhaps the most significant addition, however, is Kwambio’s new Creative Director, Chad Philips. The former Creative Director of online design marketplace Fab.com brings significant experience to the company, including high-level positions at Cooper Hewitt, Smithsonian Design Museum and Kidrobot. He has worked as a designer and curator in many fields, and he sees his new position at Kwambio as an opportunity to emphasize the creative possibilities of 3D printing. Currently, the offerings in Kwambio’s shop include a lot of edgy jewelry and decor – all customizable. The company also offers services to designers including customizable API, prototyping and wholesaling services. Kwambio is always looking for more designers to sell on its site, as well. Designers are carefully chosen, but anyone can apply – just fill out an application here.